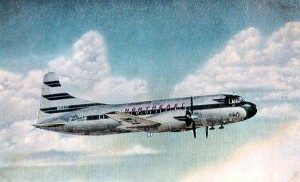 Northeast Airlines was established on July 20, 1931 as Boston-Maine Airways. 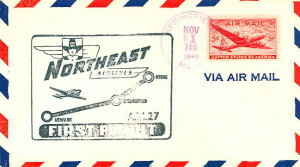 The name Northeast Airlines wasn’t adopted until November of 1940. The company merged with Delta Airlines in August of 1972. 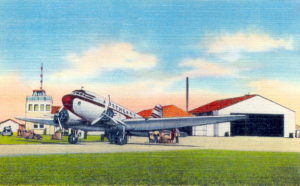 Postcard view of a Northeast Airlines plane at Martha’s Vineyard. 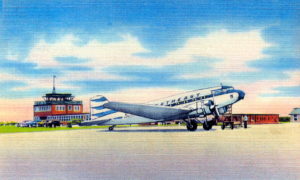 Postcard view showing a Northeast Airlines plane.